These are four easy hairstyles that you can try whenever you are in the mood to switch things up. I sometimes get into a funk where I am always doing the same thing. But these are definitely some of my go-to looks when I am looking for a change. 1. The High Bun– I call it the “instant chic factor.” It’s so sleek. It works with so many different types of outfits. I especially love doing it when I am wearing something with embellishments (like this collar) so that my hair does not get in the way. All you need to achieve this look is a bun maker/donut (they come in different colors to match your hair), bobby pins to secure your hair around the donut, a comb to smooth out fly aways, and hair spray if you want more of a slicked back look. I’ve done a tutorial for this on my youtube awhile back. Once you try it out a couple of times, it gets really easy. You can also do a bun without the little donut, but this will give it more volume and a better shape. 2. 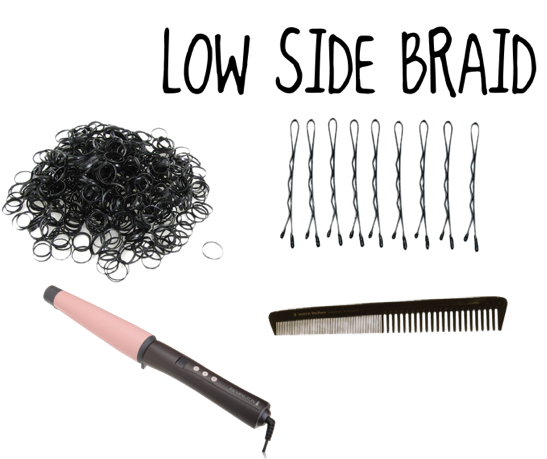 The Low Side Braid– It’s cute, casual, and literally done within a few minutes, as long as you know how to braid. I love doing it and then wearing a beanie on top to add a fun element to the look. This works best for me when my hair is not straight because of my layers. It doesn’t have to be super curly, it just needs some wave to it so that it’s easier to braid. All you need is a curling wand or iron to give your hair some waves, a small elastic band to tie the end of the braid, a comb (optional) if you want to loosen up the braid for a messier look, and bobby pins to secure underneath the braid if you have layers like me. I also like to leave out my side bangs and curl them with the wand. 3. 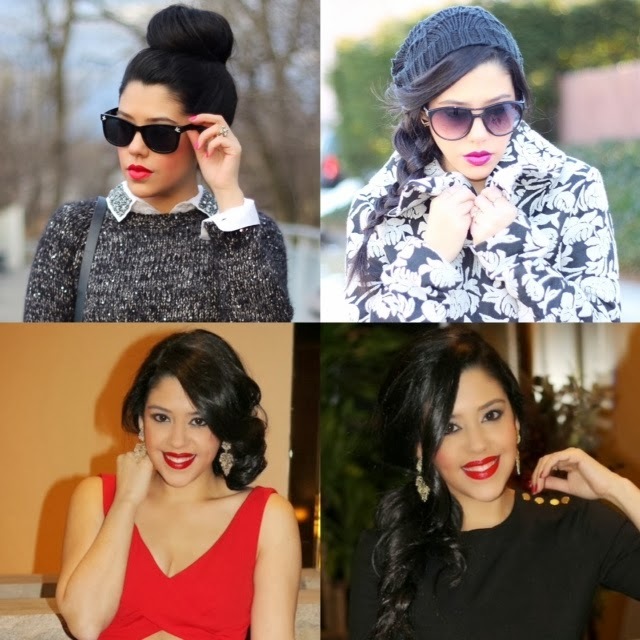 The Low Side Messy Bun– This is probably my favorite hairstyle because it’s got an elegant and romantic feel. It’s definitely my go-to look when I have a special occasion or want to dress up my outfit more. It’s simple to do, but it does take a little bit of practice. I think that every time I do it, it looks a little different, but in this photo above is when I think it came out the best. Your hair has to be curly in order to achieve this look. All you have to do is bring it down to one side, twist it, and form a bun. You do not have to put a rubber band around it. Once you have created the bun, hold it in place with your hand and start putting bobby pins in to secure it all around. You are going to use a lot of pins so make sure that they match your hair color. Once it’s completely secure, just use some hair spray. I also leave my side bangs out and curled and then loosely pin them back to the bun. 4. 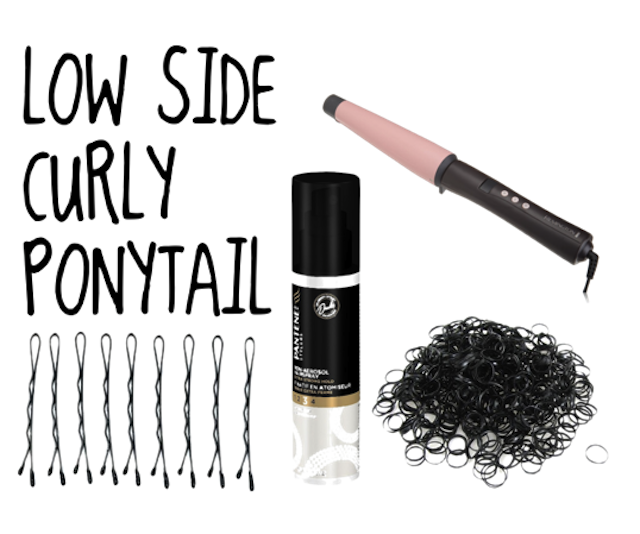 The Low Side Curly Ponytail– This is usually my second go-to look for a special occasion. It’s really simple, but it has both a playful and romantic vibe to it. I also like to do this when I am having a bad hair day because it literally takes one minute to achieve this look. Again, you want to start out with curly hair. Just bring your hair down and low to one side, create a ponytail using a small elastic band, gently pull and separate the ponytail to give it some volume, and then just add some hair spray. I use bobby pins to secure my hair in the back so that it doesn’t fall out. And then I leave out my side bangs curled as you can see in the photo above. 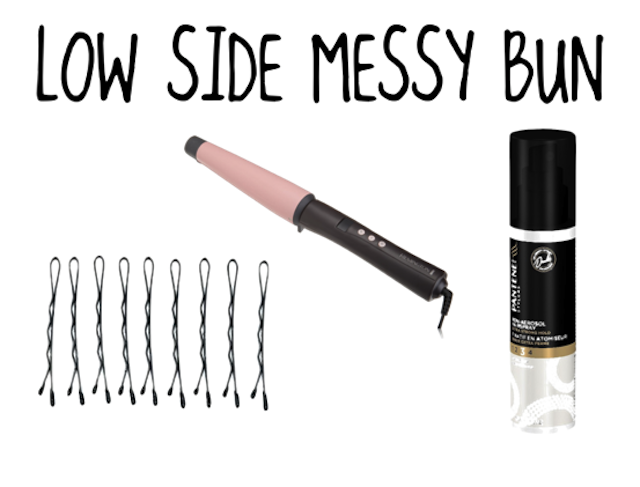 Basically with all of these looks, bobby pins will be your best friend. Hair styles like this generally work better with day old hair. Since I have layers, it’s always easier for me to do these looks when my hair is not straight, but it might work different for you. Which style is your favorite? I want to try out some new looks soon, so I plan to do a similar post again at some point 🙂 I know these weren’t full out tutorials, but hopefully they help and give you some hairspiration! This post is making me miss my long hair! It can't grow out fast enough! Great hairstyles! 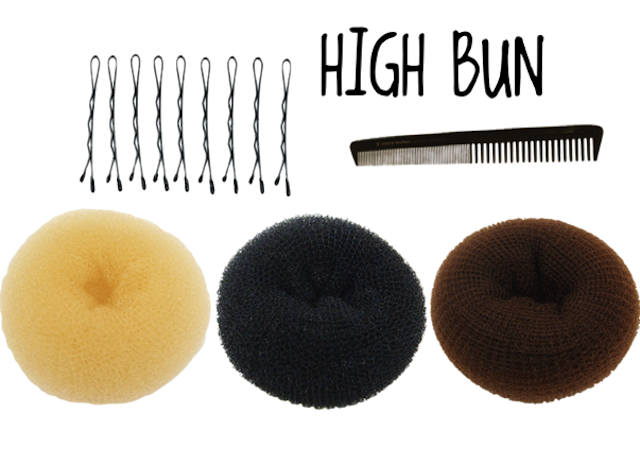 I practically live in a high bun, but can't seen to master it with the donut, or sock. I need to go watch your tutorial! Thanks love! After doing it a couple of times it definitely gets much easier! I love the big bun! Makes me wish my hair was long again, it looks so good with your big full hair! I love the high bun. Great styles, I basically live with braids and basic ponytails and this has given me some great ideas to branch out. I love the high bun. You're hair is amazing and you are so lucky. I just starting doing the sock bun. So glad to see other people doing it, and knowing it is so easy! I want to show everyone because it looks way more put together than a regular bun. Thanks for the tips! The high bun is my always always always go to hairstyle.